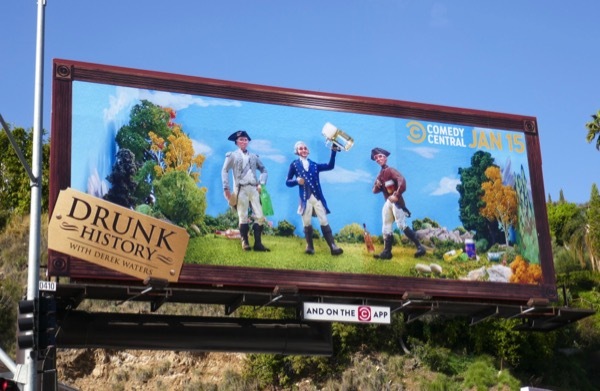 History is a funny thing, it's often written by the victors, so what happens when those fellows turn out to be inebriated when they are recounting their tales of old? 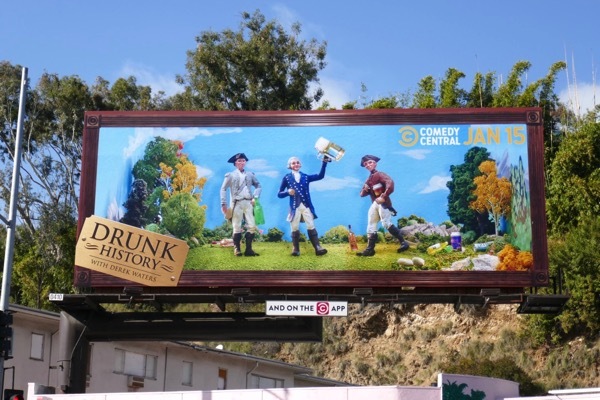 Drunk History, that's what. 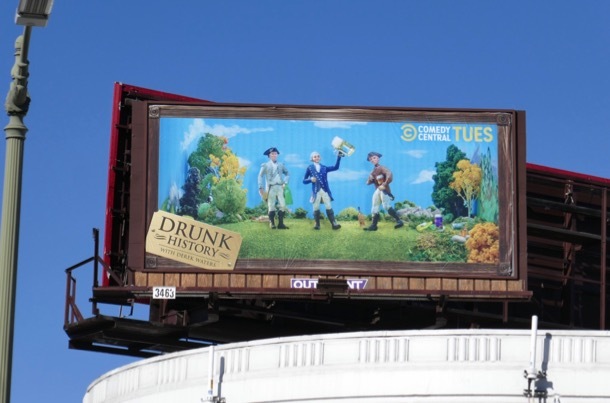 Derek Waters returns to recount infamous moments in America's history through a slightly bonkers drunken lens with the help of an ever-changing cast of actors and comedians. 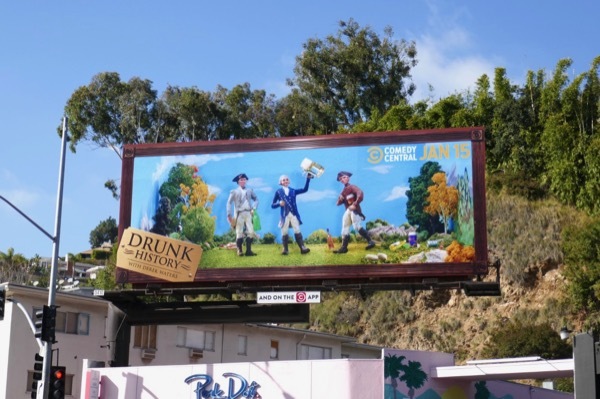 This season six billboard was snapped along West Hollywood's Sunset Strip on January 9, 2019, and fans of the show can also check out these previous season billboards for Drunk History from 2013 to date. Future generations are going to think we were all drunk during this insane period in U.S. history we're all experiencing now. Let's hope we survive the experience to tell tales about it. Cheers to a liquored-up weekend. 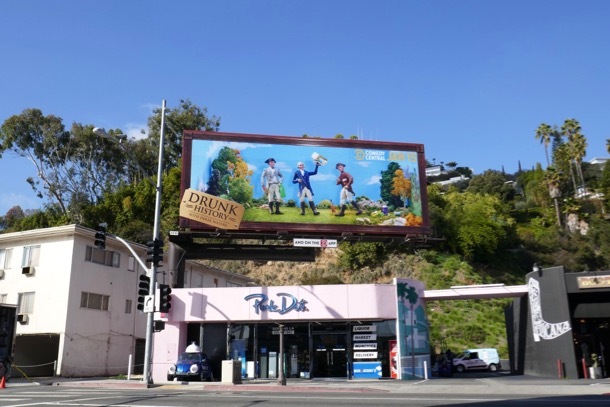 UPDATED: Here's also a smaller version of this season six billboard spied above Pico and La Cienega Boulevards on February 6, 2019.